Many studies show the current generation of young adults are hitting major milestones later than previous generations. These include moving out, getting married, starting a family, and buying a home. While the idea might sound nice, buying a home isn’t something everyone needs to strive for ASAP. There are various factors to consider when deciding if you should buy a home or continue to rent. Here are a few. By owning, the biggest difference is you are building equity instead of simply paying rent. Most people understand this concept, but it has to be said. Unlike renting, where you spend money every month and that’s it, by owning the property, part of your payment goes towards the principal of home, which increases your ownership in the property. While building equity in a home is nice, when you are starting out, very little of your mortgage payment is actually going towards the principal, but instead the interest. This makes building equity in the home a slow process. For example, a 30 year $200,000 mortgage at 4.5% interest results in a monthly payment of $1,013. To start out, only $263 of that $1,013 payment is going towards the principal; the rest is going to interest. None of this is to say you shouldn’t buy-- just understand the benefit of building equity when owning a home takes time to materialize. Another financial benefit of owning is the potential for the value of the home to appreciate, which would increase your resale value if you sold the place in the future. This, of course, is not guaranteed, and homes can drop in value like any other investment. The good news is if you plan on living in the home long enough, the value should hopefully increase, but again, it is not guaranteed. While it isn’t a major factor when determining if you should buy or rent, another thing to consider is that mortgage rates are still hovering around historically low rates. Relative to the 1970s when mortgage rates ranged from 10%-18%, and the 1990s ranging between 7%-10%, average mortgage rates for someone with good credit are still below 5%. A 30 year mortgage is one of the most affordable methods of borrowing money compared to other loans. Some may want to make extra payments towards the mortgage, but with a low interest rate, just paying the amount you are supposed to on the mortgage may prove more beneficial. The idea is instead of making extra payments, invest that money and earn more in the markets than the rate of interest you are paying. This is a very important consideration when thinking about buying vs renting. The full cost of ownership is something many people fail to consider when looking to buy a home for the first time. Do not fall into the trap of thinking it is as simple as the maximum rent you can afford is the maximum mortgage you can afford. Renting is (usually) a straightforward single payment amount and your landlord usually takes care of maintenance and repairs. Ownership goes beyond the mortgage (principal and interest) and you need to consider payments such as property taxes, homeowners insurance, and ongoing maintenance expenses to name a few. Of course don’t forget all the bills if you’ve lived in a rental with any of your bills covered in rent. If you are thinking of buying instead of renting, please be sure to take all payments and responsibilities that will come with ownership into consideration and work those into your budget and to-do list. Only then will you really know how much house you can afford. 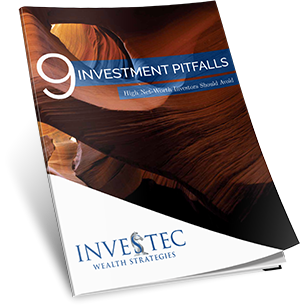 Another significant factor that is indirectly a financial consideration would be your job or marital situation. Are they stable? Are you happy with them? Do you expect to live in the same city or area for years to come? These are all questions to consider when looking into buying or renting. 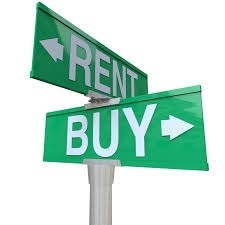 If you aren’t sure where you will be in the next few years (both geographically and in life) deciding to buy a place is usually not a great idea and it usually makes more sense to rent. Purchasing a home is one of the biggest purchases you’ll ever make and you want to be sure it isn’t a short term solution. Besides, living in a home for a short time doesn’t really give any opportunity to recoup costs of buying via appreciation and equity building. Lastly, sometimes the reason is just emotional. Sometimes you just want to have a place to really call home. Sometimes you grow sick of moving from rental to rental and are ready to place roots somewhere. Sometimes it is a familial reason. A growing familyis a common reason people buy a home. Many feel as their kids get towards school age, renting an apartment Downtown might not be the best place to raise their kids compared to a nice home in the suburbs with a big backyard and good school district. There are plenty of emotional reasons, but I would caution don’t let one in particularget to you: feeling you need to buy because your friends are. Everyone reaches milestones at different times for different reasons, but keeping up with the Jones’s is never a good reason to hit such an important milestone. Clearly, there are more reasons than what is listed above, but if you are looking towards buying your first place, take some time to consider these topics. Even the good financial reasons to own a home aren’t without their caveats. Renting makes sense for many people and there is nothing wrong with renting, as does buying. What really matters is does your decision A) make sense for you financially and B) fit in with your goals at this time.